Good Afternoon. I’d like to thank May 4th Task Force for having me here with you today. It is my great and solemn honor to speak to you today. I was an unusually politically aware nine-year-old kid, trying to make sense of a country spinning out of control, when the federalized troops of the Ohio National Guard opened fire here, at Kent State. See, when I was growing up, my dad had strict rules about television watching. On school nights the only tv we could watch, was the news. Hind sight being what it is, I probably should have been allowed to watch I Dream of Jeannie or The Munsters and thereby skipped the nightly diet of poverty, race riots and war. I look back and remember sitting in front of a black and white tv, at truths too upsetting for living color. As the decades have gone by, the contrast has been turned up on the black and white reality that poured out at me each night. I look back now at moments that get more vivid as details emerge. As a journalist, I’m grateful that these stories continue to evolve. Because of my parents’ news rules, I grew up watching the Vietnam War unfold. I grew up watching civil rights showdowns. I grew up knowing that all too often brute force was the solution to – well – to everything. One of those school nights when I sat down to watch tv was May 4th 1970. I remember being horrified, confused, disbelieving. I remember being frightened. I better remember my mom, once again hunched over at our kitchen table, grieving – as she had when Martin Luther King Jr. and then Bobby Kennedy were shot. There was no shortage of black and white tragedy shaping my world. The citizenry used brute force on each other. My government used brute force in foreign countries. Police forces and sheriff’s departments used billy clubs, fire hoses and dogs on protesters. And then, at Kent State, the federal government used brute force on privileged white college kids. Kent State shocked violence weary white America like nothing before had. Everyone paying attention to the news in 1970 knew two things. Before Kent State, you had to fit into a couple of categories in order to get killed. You had to be famous. You had to have put yourself out there. Like Martin Luther King, Jr., John and Bobby Kennedy, Malcolm X. Or you had to be some nosey do-gooder looking for trouble in the deep south, like, James Chaney, Andrew Goodman, and Michael Schwerner. But, if by some chance you were some innocent by stander, well then you had to be black. Kent State changed all that. Kent State threatened privileged Americans. White draft deferred college kids could be killed just walking to class. But there was another frightening distinction at Kent State. Before Kent State, trigger happy police departments killed protestors – as was the case when the South Carolina highway patrol perpetrated the Orangeburg massacre. But at Kent State, in full violation of the United States Constitution, the U.S. military opened fire on the American people. Tanks rolled into town. Check points were set up. And U.S. Army forces terrorized the populace. Yesterday, on our way into Kent, we detoured and stopped at the Robinson Memorial hospital now University Hospital. That’s where Allison Krause, Jeffrey Miller, William Schroeder, and Sandra Scheuer along with other victims went after being shot. That’s where their parents went to identify their children’s bodies. I’ll be writing a piece for my page at the Huffington Post later this week, and you’ll be able to see the short video we made in the hallway where 15-year-old Laurel Krause stood waiting for her parents to identify her dead sister. 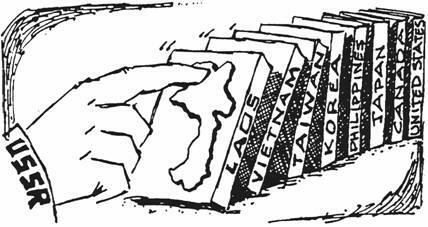 May 4, 1970 was a bad day. That’s how Ruby remembers it. That’s how we all should remember it. I’d like to take a moment and congratulate Kent State University on their long – now completed march – toward their National Landmark designation. Last October, I had the distinct honor of escorting Mary Vecchio to the public hearing hosted by the National Park Landmark Commission. The photograph of Mary – a teenage runaway – her arms outstretched, kneeling over Jeffrey Miller’s body became the image of Kent State for a long time. It was an image the school desperately wanted to shake. Many of you know that. If you attended yesterday’s panel discussion about the National Landmark designation, you know that the university wanted to forget the shootings ever happened. By 1977 enrollment was down, and the school – perhaps rightfully – thought that people didn’t want to send their kids to a place where kids got killed. Kent wanted a new image. What better way to say, Kent State focuses on a healthy living student body, then with a new gym? But instead of dulling the memory of Kent State, the effort to build a gym invigorated it. Survivors returned to campus. Aggrieved parents returned to the scene where their precious children died. And while strong arm tactics such as tear gas were used again on the students, deadly force was not. Nixon was gone. J Edgar Hoover was gone. Months earlier Jimmy Carter had pardoned the young men who protested the war by fleeing the country and the draft. The country wanted to heal. This is the 40th anniversary of that gym protest and as such the discussion this year has taken a slight turn from the killing and injuring of 13 students to the wanton disregard for history and the conscious desire to obliterate if not blur the scene of the crime. When I brought Mary Vecchio to those hearings it was because she too felt that the story wasn’t complete. Mary’s story, Ruby’s story, that are all a part of the Kent State story. Nixon’s scorched earth policy of killing students, terrifying young moms on an errand to get milk, illegally bombing foreign nations gave way to trees planted on a hillside, a new gymnasium, ugly attacks Allison Krause’s reputation, imprisoning Mary Vecchio in reform school. This past October, the historians at the National Park Service public forum, agreed with Mary Vecchio. They discussed at great length and with great respect the value of eyewitness accounts. They urged Kent State to include as many of them as possible. Sometimes human nature gets the better of us. We shy away from people who make a fuss. Who show their anger. Consequently, some historians and institutions want sanitized history. Just the bare bones that can be independently confirmed, not all that fleshy humanity that gives an historic event it’s depth, it’s color, it’s warmth. Historians can shy away from eyewitness accounts because humans sometimes have funny ways of remembering things. Memories are colored by emotions, past experiences, subsequent tragic consequences. The landmark commission reminded Kent State that they can have both. They can have the historic skeleton of verifiable facts and they can have the raw emotion that rips through the heart of a murder victims’ father. With so many living eye witnesses, Kent State can compile a vibrant historiography to accompany their memorials in the parking lot. What Mary remembered so vividly, the shattered glass from car windows, Allison Krause’s foaming last attempts to speak, Jeffrey Millers blood running like a stream away from his body, they are vivid and they are real and they are every bit as sacred to the story of Kent State as the pagoda where the soldiers turned and fired. You want to know the history of human rights in the United States? Then you need to know about the FBI manhunt for Mary Vecchio. You need to know that the governor of Florida blamed her for the deaths of her friends. You need to know everything you can possibly know about everyone shot at that day and the community in which they lived. And when their stories are included, then Kent State, your historic landmark will have preserved history and not just in black and white, but in real living color. It’s graduation season and nearly two million undergrads will receive their diplomas this year. While campuses all across the nation groom themselves for commencement, one university reels from the weight of another commemoration. Last week at Kent State University in Kent, Ohio, hundreds of visitors flocked to a solitary parking lot to pay their respect. Respect has been in short supply for the victims and families of the Kent State massacre. On May 4, 1970 the Ohio National Guard opened fire on unarmed student protesters. 13 students were shot, four of whom died. The university has blocked off the spaces in the lot where the innocents fell – but has left the rest of the parking lot open to vehicles. You can’t park on the exact space where Allison Krause, Jeffrey Miller, Sandra Scheuer, and William Schroeder were killed, but you can park right next to them. And there aren’t any barriers where the nine wounded students – Alan Canfora, John Cleary, Thomas Grace, Dean Kahler, Joseph Lewis, Donald MacKenzie, James Russell, Robert Stamps, and Douglas Wrentmore – where shot and bled. The university decision to use as many available parking spaces as possible epitomizes how undervalued the lives of these victims were and still are. To be fair, you can still watch movies at the Aurora, Colorado Movieplex where 12 people were killed and 70 more were wounded. However, there’s a glaring difference between Kent State and the Aurora shootings: in Aurora, the authorities held the shooter responsible. James Holmes has been charged with 165 counts – including murder and attempted murder – and NBC news carries video of the trial. There’s been no criminal trial for the shooters at Kent State. That’s because state and federal governments are immune from prosecution. Without transparency, without assignation of guilt, two inevitable consequences occur: survivors assume guilt that isn’t theirs and offenders are free to repeat their crimes. The Kent State demonstrations followed President Richard Nixon’s acknowledgement that he – absent Congressional approval – was bombing Cambodia. The big picture is sketchy but the survivors share details that they remember vividly. There was a fire at the ROTC building. The city was locked down with tanks and vehicles mounted with machine guns. During protests the night before the massacre, guardsmen bayoneted students. And after nightfall, helicopters hovered over the campus with searchlights dropping tear gas. By the time the students were shot and killed at Kent State, Kent, Ohio was a city occupied by a heavily armed military force. Kent State has proven Nixon’s philosophy, but not in the way he intended. Kent State is one incident in a long line of militaristic attacks on the civilian population. As far back as George Washington’s suppression of the Whiskey Rebellion, the military and other police forces have been used as armed aggressors against the citizenry. When the Chicago Police attacked the protesters at Haymarket prompting a false trial and the execution of innocent men, it prepared the way for the Kent State shootings and the trial of the Kent 25. And the subsequent Justice Department refusal to examine what happened in that small Ohio town in 1970 has toppled the dominos leading to Freddie Gray’s severed spine in Baltimore. It’s never too late to examine the reality of circumstances, motivations, and outcomes in history. Although, when decades pass and eyewitnesses die, it gets harder to illuminate the darker corners of the past. Last week, the Kent State campus filled with survivors seeking closure and comfort from visiting their past. The best way to prevent police brutality and government-sponsored violence is to expose it. In the case of the Kent State Massacres, there’s still time. Gwen Ifell and Oliver Stone were at Kent State this weekend to commemorate the May 4, 1970 shootings at the university that claimed four lives and wounded nine people. The celebrities will share their thoughts on what happened 43 years ago as the university dedicates its new May 4 visitor center. Among the visitors who dropped by to hear them speak and scrutinize the new center was Laurel Krause, sister of Allison Krause, the 19-year-old freshman honor student, who was killed that day by members of the Ohio National Guard. The soldiers shot her where she stood — 343 feet from away from them on the campus lawn. What was the climate like the day Allison and the others were shot? Well, aside from the fact that it was the first beautiful day after weeks of rain, the political climate was anything but clearing. Just four days earlier President Richard Nixon announced the U.S. invasion of Cambodia. 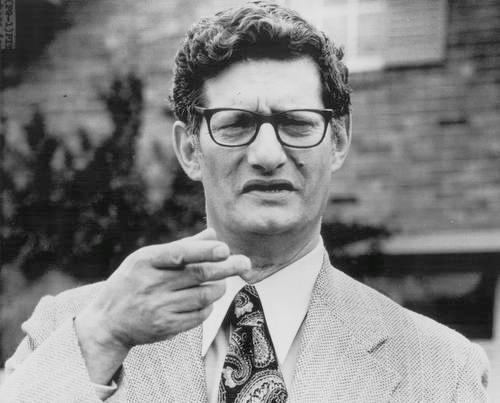 He struggled to justify his decision to further escalate the conflict in south east Asia even as he worked to conceal the fact that he had authorized the illegal bombing of Cambodia for more than a year. Laurel and the other members of the KSTT have a lot to say on what they believe has been a 43 year coverup and spin job. From the time headlines broke that called the shooting victims “bums” and portrayed them as an unwashed violent rabble of questionable morality, until this year when the UN became the first governing body willing to dig a little deeper into the official story, Laurel has keenly remembered the details of the day her sister died. Time will tell what will come of Laurel’s struggle to get justice for her sister and the other victims. And justice for Laurel means that the government will one day acknowledge the truth. Until that day comes and on this anniversary of Allison’s death, it’s illuminating to know exactly how the day unfolded for the rest of the Krause family. At 12:24 p.m. 28 Ohio National Guard soldiers — after hearing what they later called sniper fire — opened fire on unarmed protesters at Kent State University. Most of the protesters were more than the length of a football field from the soldiers. The soldiers had live rounds in their guns and must have been cautioned that they may need to shoot to kill the college kids. At about 3:00 p.m. 15-year-old Laurel Krause got off the school bus and started walking to her home. A neighbor ran up to Laurel and told her that the radio had announced that Allison had been hurt in a shooting at Kent State. Laurel called her mom and dad who were at work. Laurel’s mom came home and called the Robinson Memorial Hospital in Ravenna, Ohio, and was told over the phone that “she was DOA.” Doris Krause collapsed on the floor. Laurel’s dad, Arthur Krause, worked as a middle manager for Westinghouse and his co-worker brought him home. Arthur had received a call from his brother saying that the local radio station had announced that Allison was dead. When he arrived home, Doris confirmed it, and the family friend drove them from their home in Pittsburgh, Penn., to the hospital in Ohio. 4/6/12 ~ Our third posting into 30 Days for Kent State Peace, a VIRTUAL PETITION to Pres Obama & AG Holder. Our Plea: EXAMINE the New Evidence in the Kent State Tape. It is going on TWO YEARS since new Kent State evidence emerged yet we have NOT RECEIVED ONE RESPONSE from the Obama Administration. The law is clear: the Statute of Limitations does not lapse for MURDER! 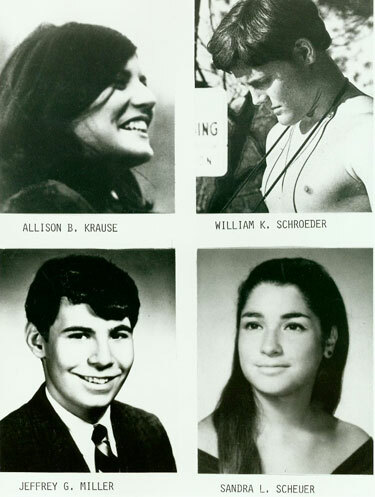 Four Student Protesters were shot dead at Kent State University on May 4, 1970. Examine the Kent State Tape Now! In 28 days it will be the 42nd anniversary of the slaughter of Allison Krause, my sister who was one of four student protesters shot dead by the U.S. government on May 4, 1970. YOU PARDONED NIXON BECAUSE YOU BELIEVE HE AND HIS FAMILY HAVE SUFFERED ENOUGH. 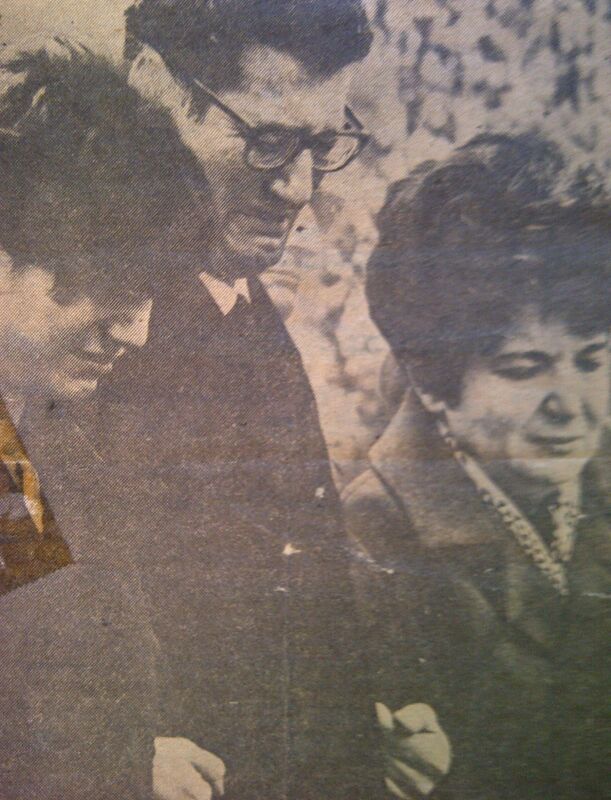 MY WIFE AND I LOST OUR DAUGHTER ALLISON ON MAY 4 1970 AT KENT STATE DUE TO ACTIONS AND WORDS OF NIXON. HE COMPOUNDED THIS HORROR OF GIVING THE NATIONAL GUARD THE RIGHT TO KILL BY ORDERING MITCHELL, ERLICHMAN, DEAN, GARMENT, LEONARD, AND NORMAN TO COVERUP THE MURDERS AND MAIMING BY BLOCKING THE CONVENING OF A FEDERAL GRAND JURY. 20,000 OR MORE OUR SOLDIERS WERE KILLED AND THOUSANDS WOUNDED BY ILLEGAL CONTINUANCE FOR 4 YEARS OF THE VIET-NAM WAR. WE AND OTHERS WILL SUFFER THROUGH ETERNITY AND YOU PARDON NIXON WHO HAD NO REGARD FOR MORALITY, ETHICS, THE CONSTITUTION OR THE RIGHTS OF MAN. HAVE YOU BECOME A DESPOT WHO IS A PARTY TO THIS HORROR. YOU ARE COMPOUNDING HIS FELONIES AND ARE BURYING JUSTICE. SIR YOU ARE LESS A MAN TODAY THAN YOU WERE YESTERDAY. President Ford’s full pardon signaled to our family that NOTHING would be done to expose the TRUTH in the May 4th Kent State Massacre. When this telegram was re-discovered on March 1, 2012, we quickly realized it was the lowest, most desperate time in Allison’s parents’ fight to learn what happened at Kent State, as they also sought accountability for the murders & injuries. We Seek Kent State Peace Now! On May 4, 1970 Fours Students Died and Nine Were Wounded at Kent State.